We have been breeding gos for over 30 years. We started with Cavalier King Charles Spaniels. They were our first love. The breed was greatly popular, which for dog breeds, is often not a good thing. 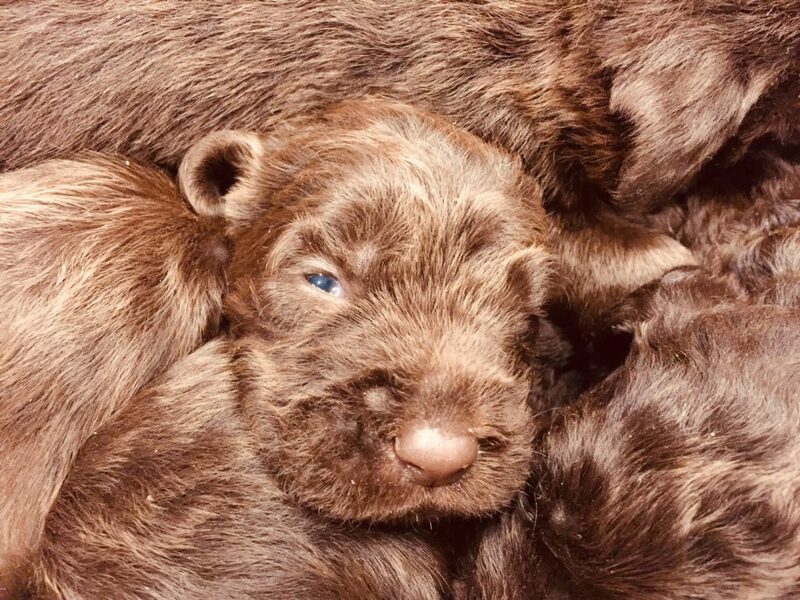 We strived for healthy dogs by diverse blood lines the best we could, but as the years rolled on we realized that the the genetics were prone to health issues such as heart murmurs. We avoided it for the most part, early on, but in the breed it became "normal" for adults to develop murmurs. To us that was not acceptable, so we looked for other breeds. The Entlebuchers caught our eye. They were a member of the greater Swiss family, but on a smaller scale. We loved Bernese, but again major health issues. Great Swiss had short life spans, so the Entlebuchers seemed perfect for the farm. A great guardian/herding breed that loved to be around its owners. In 2016 another breed caught Tammy's eye. 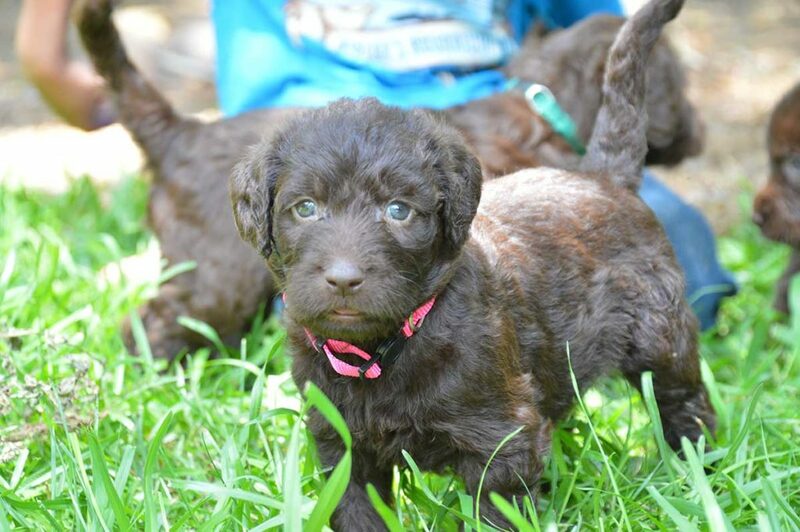 The fuzzy adorable Labradoodle. In her words, like a living teddy bear.